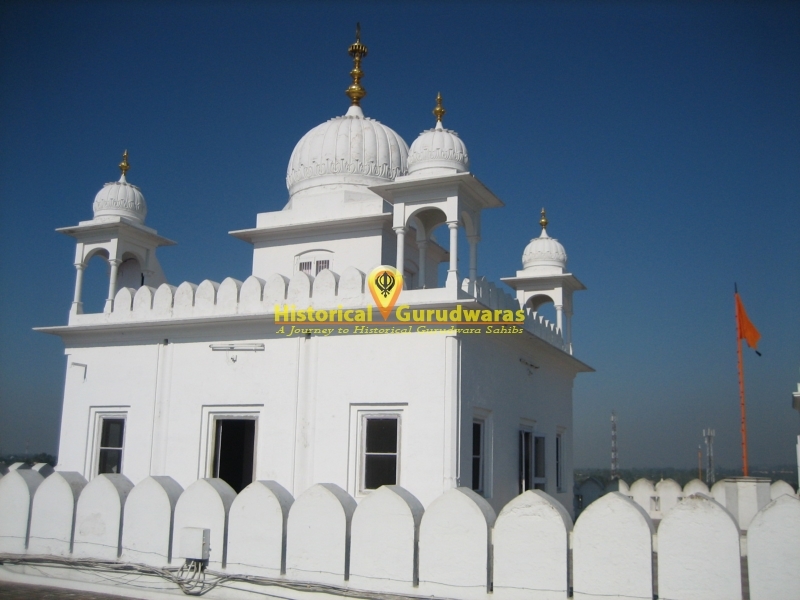 GURUDWARA SHRI DUMALGARH SAHIB(MANJI SAHIB) is situated in the City of Anandpur Sahib in Ropar Distt. 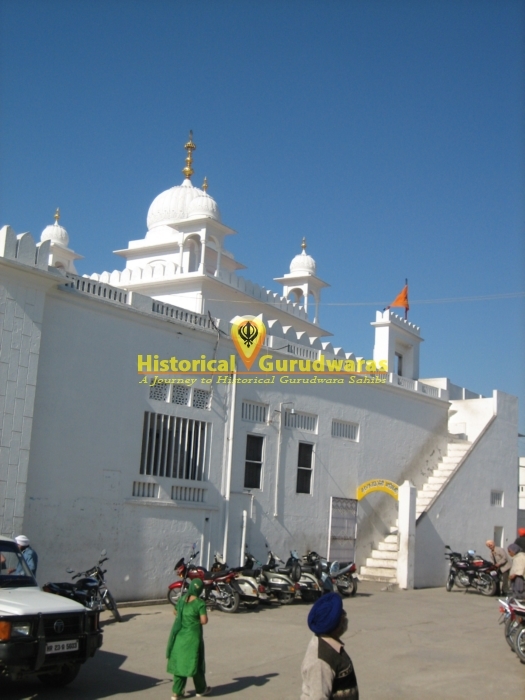 This GURUDWARA SAHIB is on the northern side of GURUDWARA SHRI KESGARH SAHIB. Here, SHRI GURU GOBIND SINGH JI used to train his sons and also used as a playing ground. Wrestling matches and other competitions were also held here. GURU SAHIB was sitting here under a bunyan tree when Ajmer Chand, the ruler of Bilaspur attacked Anandpur Sahib. In the battle field, the Sikhs, under the command of Bhai Maan Singh Nishanchi (standard bearer), gave a befitting fight to the hill army. During the battle Bhai Maan Singh was wounded and the Khalsa flag was broken. A Sikh soldier reported the incident to GURU SAHIB. 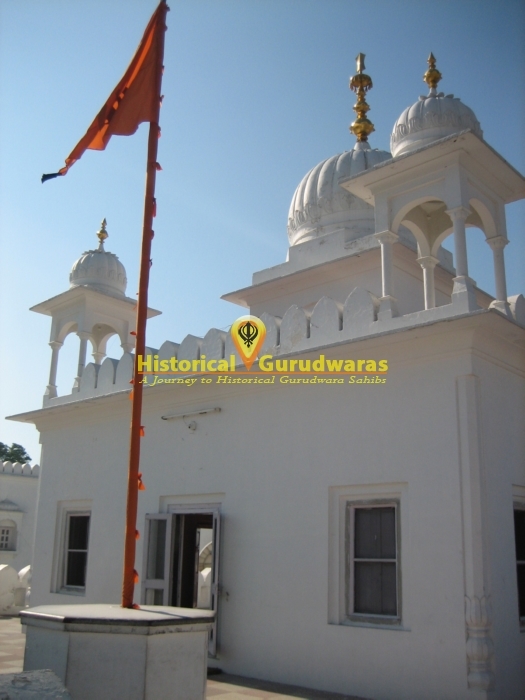 At this GURU SAHIB tore a farra (small piece of cloth) from his Keski (under-turban) and set it in his turban in the from of a hanging flag. GURU SAHIB declared that in future Khalsa flag shall never fall or get lowered. It will be a part of the turban of every Sikh leader. SAHIBZADA FATEH SINGH JI, who was just five years old at that time, also hung a farra in his turban. Since this incident the tradition of farra became a part of the turban of every Sikh leaders. Now, this tradition is no more in practice except with the Nihangs who observe it with religious fervor. 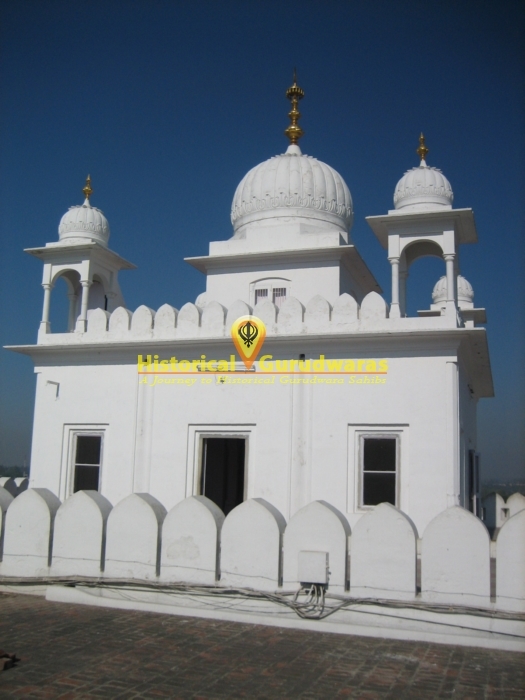 This GURUDWARA SAHIB is known as Dumalgarh also as it owes its name to Dumala (farra) incident.